One of India's greatest air warriors! What a great patriot and soldier!! Hats off to him! I wish they would rename New Delhi's international airport as Nirmaljit Sekhon airport. Snippet regarding recent veergati of 2 garuds. Claims first losses since 1990 - factually wrong as there are losses to enemy action in Siachen and Kargil. If the author took 1990 as start of jehad in Kashmir then even then it would be wrong as we lost 9 IAF men in 1994. This speech by Sardar Vallabhbhai Patel, October 1, 1948, made to people in the Armed Forces of India, is a great example of an Indian non-western worldview. I am proud of the Air Force, for their doings in the short period, both in Kashmir and Hyderabad; for their work for the relief operations, for removing the refugees, for supply the necessities of the army in Kashmir. While people talk of our failing to follow Gandhiji’s teachings, I wish to give you one example which I remember from his conversation. When Srinagar was touch and go, when we wanted to put our Army in Srinagar and when the Air Force was asked that they had to carry the Army and all its requirements quickly, they did it with wonderful speed; and if we had been late by twenty-four hours the whole game would have been lost. That is the work which you have done, which is written in letters of gold in the history of Freedom. We are proud of you. But what Gandhiji said to me was “I feel so proud when I hear the noise of these airplanes. At one time, I was feeling very miserable and oppressed when I heard this. But when this Kashmir operation began, I began to feel proud of them and every airplane that goes with materials and arms and ammunitions and requirements of the Army. I feel proud.” Because he felt injustice over Kashmir by the raiders. And he said: “Any injustice on our land, any encroachment on our land should either be defended by violence, if not by non-violence.” “If you can defend by non-violence, by all means do it; that is the first thing I should like. If it is for me to do, I would not touch anything, either a pistol or revolver or anything. But I would not see India degrading itself to be feeling helpless. Therefore, when the Air Force has performed this miracle of saving Srinagar by its organized strength and the co-operation it gave to the Army, I feel proud of them and I feel happy.” That is what he said. Therefore, those who say that we do not follow the preachings or teachings of the Mahatma, we tell them: “Perhaps you from a distance know better about Mahatma’s teachings than we who have all our life with him know. Thank you very much. We will not take our lessons from you, but we will go our own way. We must go our own way. We have got small lights. We must work according to our own lights. In 1965 also the IAF acted expeditiously and attacked the Pak forces at Chaamb. 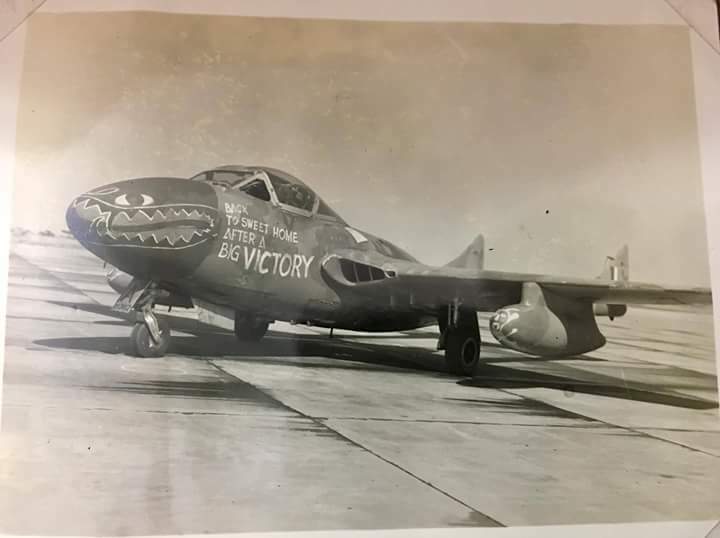 Hats of to those brave pilots who flew their ancient Vampires against the Pak F-86 Sabres. https://twitter.com/spokespersonmod/sta ... 1165817856 --> No. 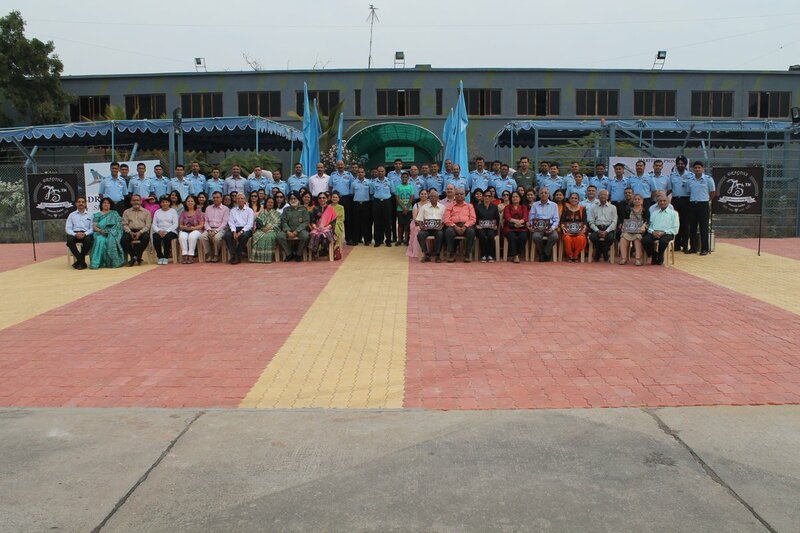 6 Squadron of Indian Air Force called DRAGONS celebrated its Platinum Jubilee from 02 to 04 December 2017 at Air Force Station, Jamnagar. 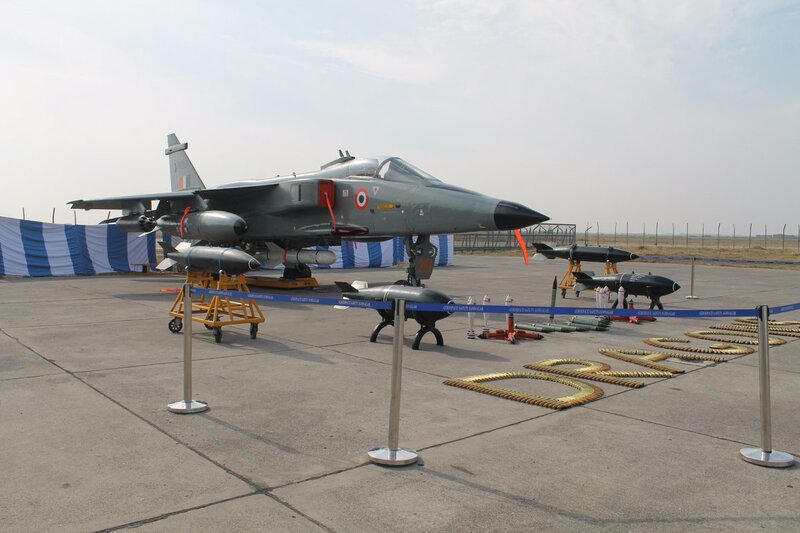 How come no Overwing mounted Missiles displayed, ASRAAM not yet inducted? How does the Jaguar use its AAM's- IRST? ^Someone was mentioning rockets on Jaguars or there absence on it. A picture on Admiral's post above has a Jaguar with a rocket pod mounted. Among the last of the RIAF members (who later went to the command the PAF). Asghar Khan and Arjan Singh, who were chiefs of their respective forces, spoke and ensured the PAF and the IAF did not get involved in the 1965 fight between the Indian and Pakistani armies in the Rann of Kutch. Very old article about Operation Vijay. However look at the pictures of the future 1965 war Air Force heroes. Two fo the greats are mentioned: Wollen and Keelor. The lower portion of the outer pylon has been ripped clean along with the T-10 launcher.The best way to describe it – it was torn like you tear a paper in half. The inner pylon was ripped the same way. Shuks had re-set the G-Meter on landing. Legend has it that it was at MAX. Once again THE MARUT proved to be a TOUGH and MIGHTY AIRCRAFT. True to the theory of no two aircraft are similar in H A L the pylons could not be replaced as none would fit. Setting the record straight: Who was the first Indian pilot to shoot down an enemy plane in WWII? For 74 years, we wrongly believed the answer was Flying Officer Jagdish Chandra Verma. Wasn't the decision made during last few days of PVNR era...?? 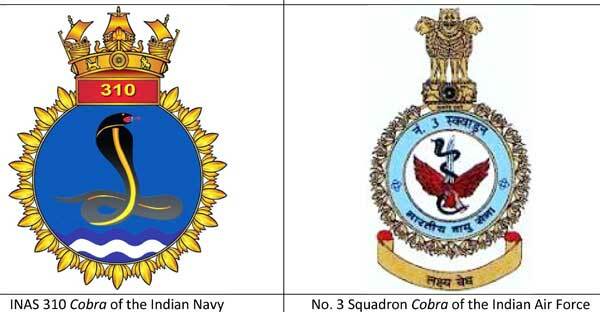 Indian Sukhoi su-30MKi acquisition history..
https://twitter.com/indiandefence11/sta ... 1788389376 ---> Indian Air Force Fighter Training Wing's "Green Beret" Vampire which took part in night operations against targets in Pakistan, operating as part of No.121 Ad-Hoc Squadron. The Ad-hoc units was formed using Instructors from the FTW and was flown by CO Wg Cdr Walter H Marshall. 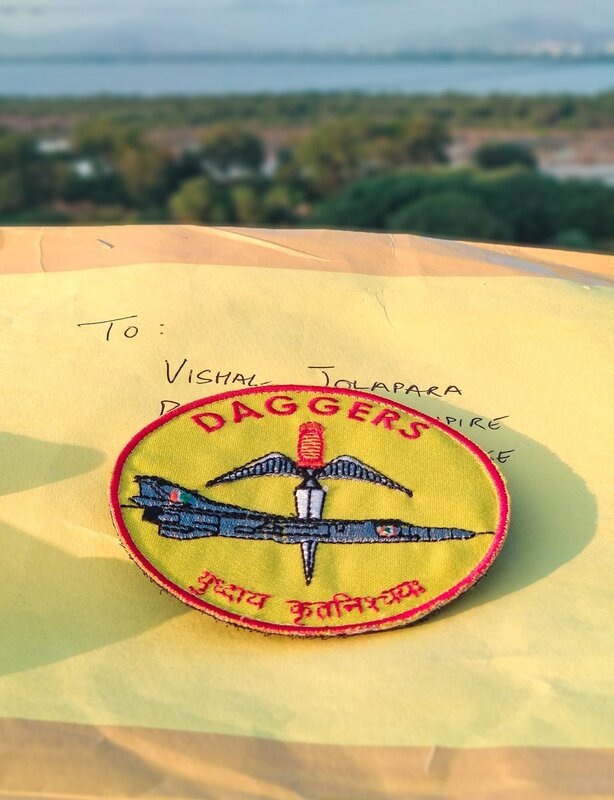 https://twitter.com/VishalJolapara/stat ... 5095135232 ---> Sqn Patch of No 10 Daggers. oh no! my fault. Correcting now. My apologies! I have a vague recollection that it was portrayed as such in a film, and possibly this is the root of the story. But I haven't come across this in any of the proper war histories. can anyone shed any light on this? Yes there was some stories about that during that time. However not borne by facts as Sargodha did not have the radar. It was the Badin which had the radar and was destroyed by Wing Commander Peter Wilson No. 16 Sqd 'Rattlers'. Badin was home to a very effective radar station, operated by the No. 408 Sqn PAF. This was not just another radar node, but one of the two Sector Operations Centres (SOCs) of the Pakistani Air Defence Ground Environment system (ADGE), the other similar station being at Sakesar. The facility consisted of FPS-6 radar(s) with a search range of around 350 Km with a peak power of 3.5 MW. The technology available to the PAF was unique to the subcontinent and was a result the military assistance given by the USA as required in the SEATO treaty. From Badin the PAF could monitor air activity over Indian air bases like Bhuj, Jamnagar, Uttarlai and Jaisalmer. The nearest important PAF air base was at Mauripur (known as PAF Masroor since 1967). So no radar at Sargodha. It is bokwas. thanks - but no soosai right? I read that it was an underground plane hangar, the door was open and our plane had used up its bombs/rockets. And seeing the opportunity, the pilot decided to fly into the hangar and destroy it as well as parked planes. Don't have any supporting documentation, though. ^^^ now that is even more unlikely! I have heard this story too. Give me a few days and I will write what I know. I have heard the same story from my father (IAF pilot crashed a/c into radar at sargodha) but my googling at the time didn't turn up anything. Rahul M wrote: I have heard the same story from my father (IAF pilot crashed a/c into radar at sargodha) but my googling at the time didn't turn up anything. No IAF pilot did a suicide dive onto a radar at Sargodha. It is as you say - folklore.. and lore by itself is not rooted in historical basis. The press (or the Propaganda machines) of that time churned out many stories that were published that later turned out to be baseless. the IAF not publishing a history for along time added to the masala. This is one of them. I do have a suspicion on the origin of the story - and it is likely based on Sqn Ldr Jasbeer Singh - who died while flying at ultra low level and his aircraft crashed into ground during a turn. He was returning from attacking a radar target at Pasrur i think. technically an operational loss but not due to enemy action nor intentional dive. Though his citation of that time is misleading and attributes it to ground fire. 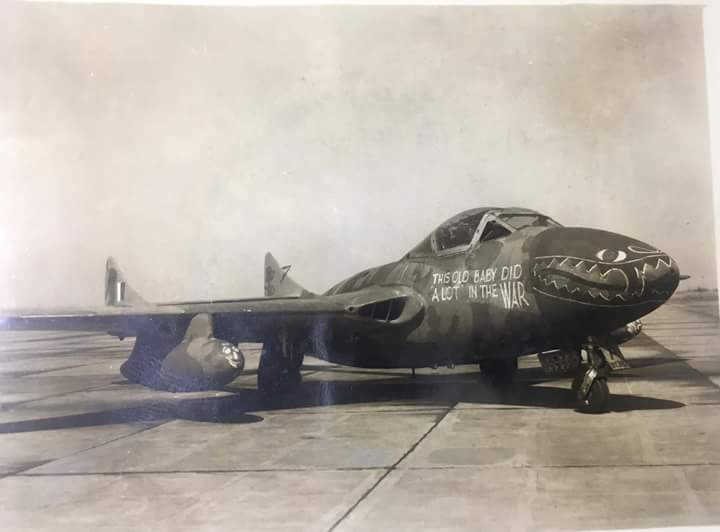 another such tale of the wars began when another gentleman started telling me about how in 71 the jaguars would take off from Pune to attack targets in Pakistan... I thought to myself... where do I even begin with this one!! thx for the explanation Jag. Jagan, I thought two major radar sites were Sakesar and Badin. No radar at Sargodha. Ramana, While Sakesar and Badin had the radars that could be used for GCI, there were other smaller less capable radars and the one at Pasrur was supposed to be . I doubt if these radars were a real threat like the others. https://twitter.com/indiandefence11/sta ... 3952114691 ---> The first Indian Air Force Pilot to fly the FoxBat: P.M. Ramachandran. 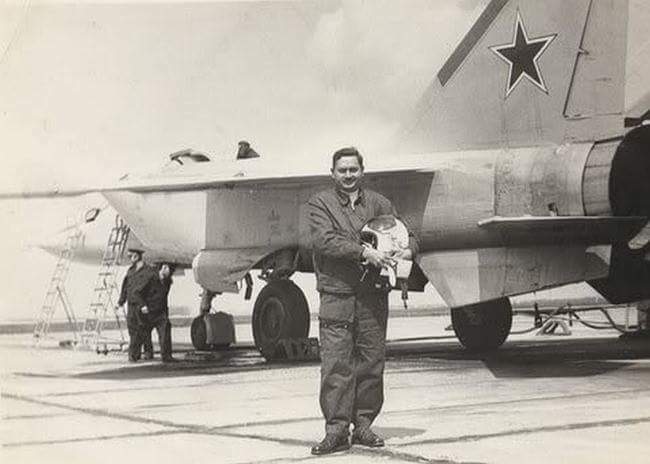 He was among the Indian team to have visited Soviet Union to evaluated the MiG-25 at Krasnodar air base which got later inducted into IAF for reconiassance history and stepped onto a legendary status. who wrote a piece about WW2 Calcutta air raids by the Japanese and the heroic exploits of Sqd.Ldr.AMO Pring? A veteran scribe requires his permission to quote from it in his book. A reply at the earliest would be much appreciated.